So you’ve just moved into a rented flat, or maybe you’ve been there for a while and you’re desperate to make some changes that won’t affect your deposit or annoy your landlord. But what? First, it’s worth finding out what your landlord will allow you to do, some of them are OK with drilling holes, as long as they’re filled in when you leave, whilst others will let you paint using neutral colours. Finding out what they already allow is a great starting point when deciding how to decorate. If your landlord is a little stricter about decorating, then keep reading; we’ve got a couple of easy non-committal ways you can brighten up your new pad. Yes, I know what you’re thinking, putting up shelves will make holes in the walls. Not necessarily; bookshelves and bar carts are great ways to display your things without damaging walls. 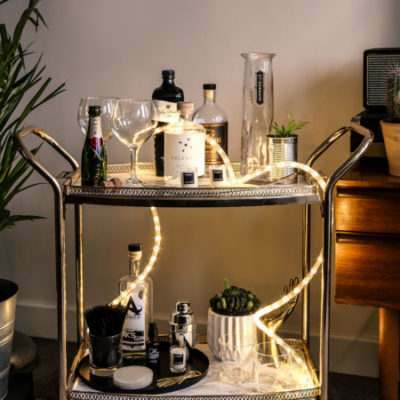 Bar carts are great also because the wheels make them portable! Adding mirrors to your home is great if you need to make a room seem bigger, or want to add more light using reflections. But we’re back here again, you can’t hang a heavy mirror without damaging the wall! But do you need to hang it? Luckily the trend right now is to take a large mirror and rest it on the floor; it looks super chic and won’t leave any marks on your walls. If you have a smaller mirror, try leaning it on a surface for a makeshift vanity. The best way to brighten up your place is to actually make it brighter! Adding lights to your rental will instantly make it feel more inviting. 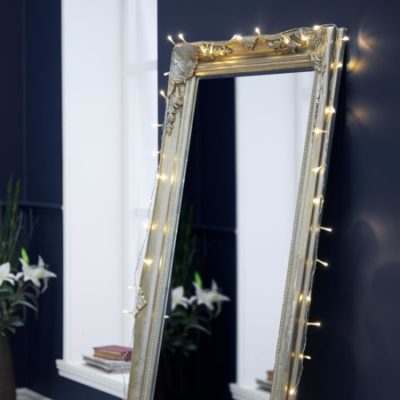 Fairy lights are a great way to instantly make changes to different spaces and can easily be draped over or wrapped around existing furniture. Try adding lights under kitchen cabinets too to update them in a flash. Can’t wallpaper? No problem! Swap out those drab walls and tired patterns for a printed tapestry; they’re easy to hang and you can swap and change them all the time. They also help give that great bohemian Pinterest vibe we’re always trying to achieve. 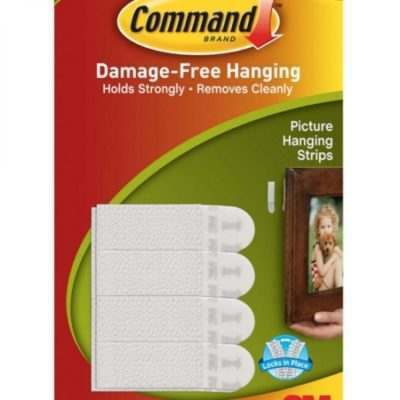 Right, this one is obvious but so effective … if you really need to hang things up, do it! Just because you can’t drill holes doesn’t mean you can’t hang a photo! You can get so many different kinds of sticky hooks now, that you may never need to drill a hole ever again. They’re also great for hanging fairy lights, especially if you’re likely to change your mind quickly, so we use them all the time! If you’re interested in finding out more ways you can hang fairy lights without using nails, then check out our blog.